Two baby tawny owls who were rescued after falling from their nest adopted a cuddly toy as a surrogate mum. 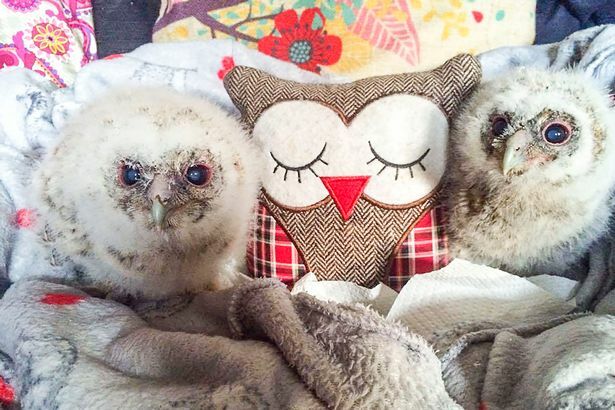 The two “balls of fluff” were in danger when they found on the side of a path after falling 25 feet. 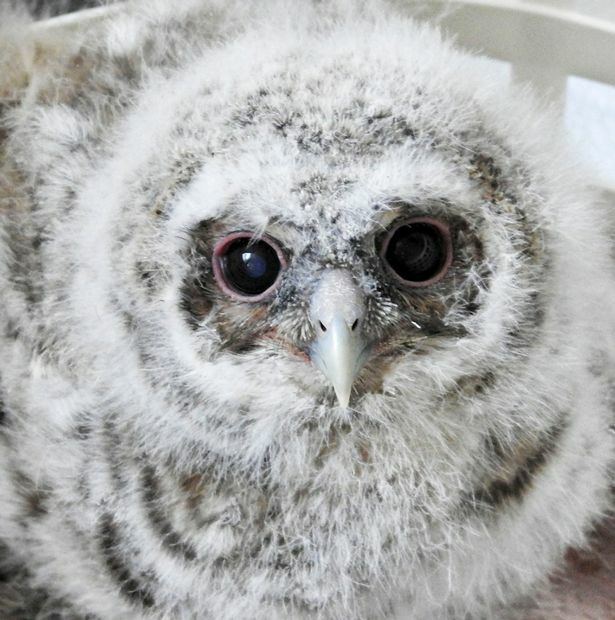 The chicks were taken to a rescue centre where they were given the pretend owl in their aviary to make them feel safe. 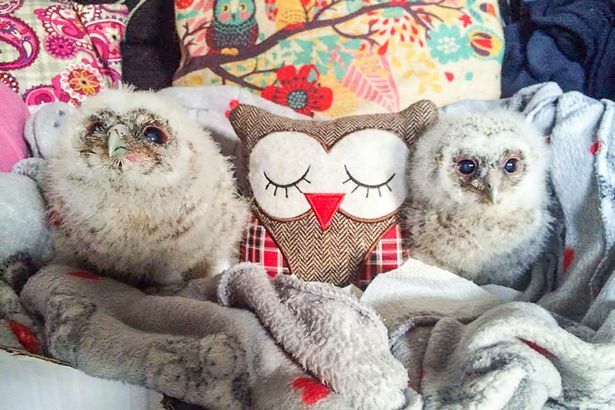 They immediately snuggled in to the owl pillow and slept either side of their new mum - even crying out if she was taken away. 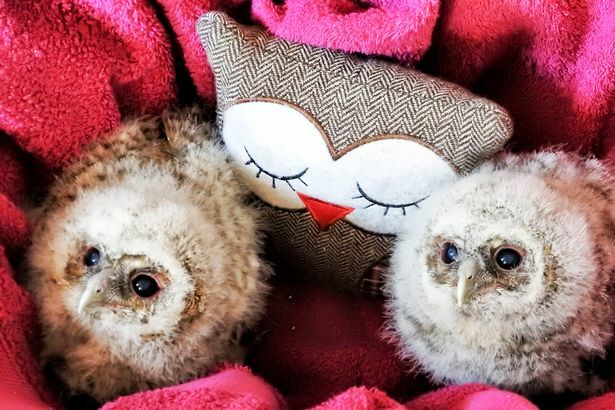 The owls were found in the Newmillerdam country park in Wakefield, West Yorkshire and taken in by Wise-Owl rescue, who this year have taken in 30 tawny owls. 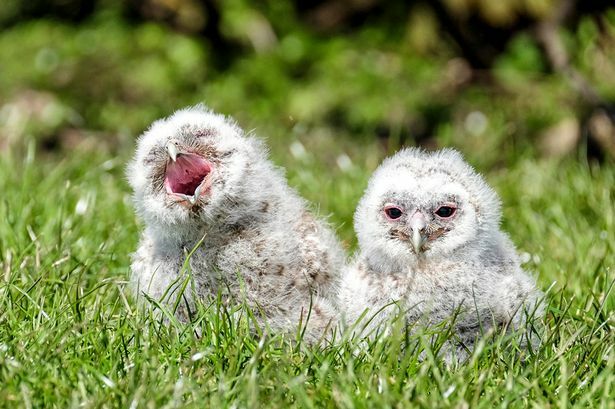 Wayne Auty, 50, who runs Wise-Owl rescue in Huddersfield with his wife Katrina, 32, took the owls in and believes they wouldn’t have survived another hour had they not been rescued. Wayne gave the three-week old tiny babies, who weighed just four oz, a cuddly toy version of the mother. Wayne said: “They were real babies when we took them in, they were very small indeed. They were just like two balls of fluff and were very vulnerable. Wayne said the owls have not been named so that he and his wife don’t become too attached, as the owls have to be released into the wild. 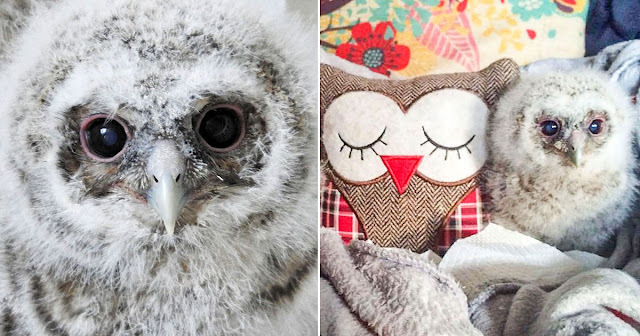 Responses to "Rescued baby owls have adopted something very cute to be their surrogate mum "
Owls are beautiful and those babies are extremely cute.